One common question from new bloggers is, "What is a blogroll?" Blogging brings with it a whole list of new terms and phrases and some of them can be confusing. The good news is that a blogroll is quite simple to both understand and integrate into your own blog. 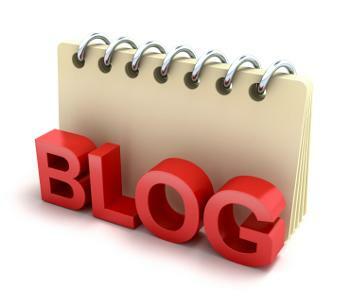 Simply stated, a blogroll is a list of links to other blogs. One of the reasons that the answer to the question "what is a blogroll" isn't obvious is because most bloggers don't title their lists as "blogrolls." Instead, the lists are called related blogs, recommended links, or another title that actually indicates what they are. Blogrolls are usually found in one of the sidebars on a blog. They can be sorted alphabetically, or organized into categories. You can add more than one blogroll to your blog if you want to cover several categories or make certain link lists stand out. Standard blogging etiquette dictates that, if you find you've been blogrolled by another blog, you should add a link back to that blog in your own blogroll. Likewise, if you include a favorite blog in your blogroll, it's perfectly acceptable to drop an e-mail to the blogger and mention the link, in hopes of a reciprocal link back to you. Reciprocal links drive traffic between blogs, and help with search ranking. Adding a link to your blogroll as the result of a blogger's request or his own inclusion of your blog is a personal choice. In most cases it's polite to include the link if the blog in question is of good quality, but you are not obligated to do this.It's a good idea to go through your blogroll occasionally and check all the links. Make sure they are all in working order, and that the blogs you've linked to are continually adding relevant and useful content for your readers. Adding a blogroll to your blog gives readers a sense of where you fit in your niche. If you write about low-fat cooking, for example, a blogroll containing links to other valuable resources about nutrition, cooking, and weight loss would all serve your readers and help them identify the topics you cover at a glance. Blogrolls also promote a sense of community and allow you an easy way to get to know your fellow bloggers. Well-researched links in your blogroll will open the door to other bloggers adding your link to their own blogroll, increasing visibility for your writing and bringing traffic to your blog. Getting links to your blog from high-traffic and popular blogs also results in a bump in search engine results, so people will be able to find you more easily. If you're using WordPress as your blogging platform, there is a built-in link manager that you can use to create a blogroll. Most other platforms include these features as well. If you want to expand your blogroll or don't have anything built-in, try BlogRolling.com for an easy-to-use system that supports multiple blogrolls in a single blog.